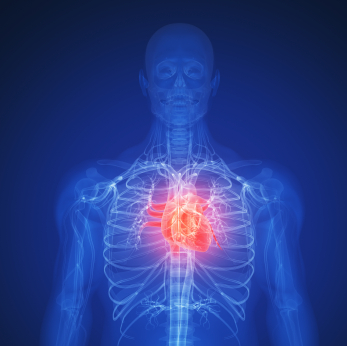 Contemporary Reviews in Cardiovascular Medicine. Post Cardiac Arrest Syndrome: A Review of Therapeutic Strategies. Stub D, Bernard S, Duffy S, Kaye D. Circulation. 2011; 123:1428-1435. Cardiac arrest affects approximately 325,000 people each year in the U.S. Approximately 24% of persons with cardiac arrest will survive to hospital admission, but nationally, only about 8% will survive to discharge. The majority of morbidity and mortality in these patients is the result of cerebral and cardiac injury. Following return of spontaneous circulation (ROSC ), a complex array of pathophysiologic processes occurs. Collectively, this is referred to as the post-cardiac arrest syndrome (PCAS). This syndrome includes four entities: systemic ischemia/reperfusion response, brain injury, myocardial dysfunction and persistence of the precipitating etiologies of arrest. Recent studies, both nationally and internationally, have demonstrated improved outcomes at institutions capable of optimizing all facets of care for the post cardiac arrest patient. Of particular importance is a center’s ability to perform invasive cardiac procedures including, but not limited to, percutaneous coronary intervention (PCI). This data suggests that the development of post cardiac arrest centers, in association with regionalization of care, may provide the best opportunity to maximize survival in these patients. Further, having centers that are well versed in the care of these patients is paramount, especially when considering the acuity of illness and the time sensitivity of needs in this population. For the emergency provider working in systems where they are expected to provide first responders with hospital dispositions, this information may soon weigh heavily in their decisions. A decision that becomes even more difficult when patients may need to endure longer transport times to reach such institutions. Fortunately, recent literature has not found an association between longer transport times and adverse events. Although more work still needs to be done in this area before specific recommendations can be made, it is likely that many systems will resemble those already in place for the stroke, STEMI or trauma patients. Additionally, the majority of study in this area has involved patients who achieved ROSC and not those where CPR remained in progress. The treatment of these patients should be viewed as similar to other groups of critically ill patients and requires a comprehensive, goal directed approach. In the setting of post cardiac arrest care, interventions should focus on oxygenation/ventilation, circulatory support, institution of mild therapeutic hypothermia (TH) and strong consideration for cardiac catheterization. In addition, overall optimization of care in the critically ill, including glucose control, seizure monitoring and electrolyte replacement, are all extremely important. If seizures are noted, they should be aggressively managed. Following ROSC , it has been common practice to place all patients on 100% FiO2. However, there has been mounting evidence to suggest that hyperoxia may be deleterious. Specifically, a recent study by Kilgannon et al. that evaluated more than 6,000 adult patients following ROSC found that hyperoxia was independently associated with worsened outcome when compared to normoxia or hypoxia. Although the data from this study was not available prior to the publication of the AHA guidelines, it does add additional support for the avoidance of hyperoxic exposure in these patients. Therefore, until further data suggests otherwise, it is recommend that supplemental oxygen be titrated as soon as possible to maintain a SpO2 ≥ 94% but < 100% with a PaO2 of approximately 100mm Hg, while maintaining normocarbia. Early hemodynamic optimization is an essential part of post-cardiac arrest care and focuses on restoring intravascular volume and maintenance of adequate perfusion pressure. Isotonic crystalloid should be administered to restore volume status and optimize rightheart- filling pressures. Mean arterial pressure (MAP), rather than systolic blood pressure (SBP) should be used as an endpoint, as this provides a better physiologic surrogate of perfusion. The ideal MAP following ROSC is not known; however, based on the current literature a MAP of 65-100mm Hg is considered reasonable. If this cannot be done with fluid alone, vasopressor and inotropic agents should be added. If an adequate perfusion pressure is still not achieved despite fluids, vasopressors and inotropes, an intra-aortic balloon pump or ventricular assist device can be considered. At present, knowledge gaps exist regarding the appropriate patient selection for the initiation of TH. This is primarily due to a paucity of literature regarding its effects on outcome in patients presenting with non-shockable rhythms (i.e., PEA or asystole). However, there appears to be the potential for benefit based on the data that is available. Therefore, current guidelines recommend the use of TH on all patients who remain comatose following ROSC . Patients should be cooled to a target temperature of 32-34ºC, though the ideal temperature is still not known. Patients can be cooled in a variety of methods, and no data at present demonstrates a superior technique. This article does cover rewarming, however, given rewarming rarely occurs in the ER it is not discussed further in this review. The complications of TH include bradycardia, increased systemic vascular resistance, decreased cardiac output, induced diuresis resulting electrolyte disturbances, hyperglycemia and coagulopathy. Coronary artery disease is a major cause of out-of-hospital cardiac arrest (OOHCA). Cardiac catheterization provides definitive therapy for patients with an acute occlusion and has been independently associated with improved outcome following ROSC . ST-segment elevation on electrocardiogram (ECG) is a poor predictor of acute arterial occlusion in this patient population. Therefore, all patients with a presumed cardiac etiology of arrest should be considered for emergent cardiac catheterization, even in the absence of ST-segment elevation. If PCI is not immediately available and ST-segment elevation is present, thrombolytic therapy should be considered. The potential interaction between thrombolytics and TH has not been established. On the other hand, PCI should not be delayed or withheld because of the use of TH, which has been demonstrated to be safe and effective. Association Between Arterial Hyperoxia Following Resuscitation From Cardiac Arrest and In-Hospital Mortality. Kilgannon J, Jones A, Shapiro N, et al. JAMA 2010; 303:2165-2171.
studies. The notable exception was a human pilot study, which was underpowered to assess survival at hospital discharge. Nonetheless, when all data is taken in its entirety, there appears to be enough evidence to recommend the avoidance of hyperoxia in the setting of ROSC . Therefore, at the time of publication of the 2010 AHA guidelines, the recommendation for rapid titration of the FiO2 for a goal SpO2 of less than 100% but ≥ 94% was made. This is felt to be most reasonable as an FiO2 of 100% can correlate with a PaO2 of anywhere between ~80 to 500mm Hg. Neither the AHA guidelines nor the International Liaison Committee on Resuscitation (ILCOR ) 2008 Consensus Statement make specific recommendations regarding goal PaO2. Despite the recommendations laid out by the aforementioned committees, it is admittedly with a known knowledge gap regarding the role of post cardiac arrest oxygenation. This was a large multicenter cohort study that attempted to provide further investigation as to whether exposure to hyperoxia in the setting of ROSC worsens brain injury and ultimately affects patient mortality. The investigators of this study used the data collected from Project IMPAC T, a data bank that includes 120 U.S. hospital intensive care units (ICUs) from 2001-2005. This ultimately captured 6,326 patients that met the inclusion criteria. These criteria included age over 17 years old, non-traumatic cardiac arrest with CPR performed and an arterial blood gas analysis performed within 24 hours of ICU arrival. For the purposes of this study, hyperoxia was defined as a PaO2 of 300mm Hg or greater, hypoxia as a PaO2 of less than 60mm Hg (or a ratio of a PaO2 to fraction of inspired oxygen of < 300). Normoxia was defined as neither hyperoxia nor hypoxia. The main outcome measure of this study was in-hospital mortality. Ultimately, the investigators found that of the 6,326 patients, 18% were found to be hyperoxic, 63% hypoxic and 19% normoxic. The hyperoxia group had a significantly higher in-hospital mortality compared to the normoxic group. In fact, a model that controlled for potential confounders including age, comorbidities, preadmission functional status, vital signs and more, noted that exposure to hyperoxia had an odds ratio for death of 1.8. Based on the data collected in this study, arterial hyperoxia was independently associated with increased mortality when compared to normoxia or hypoxia. There are several limitations associated with this study. This is an observational cohort, so only an association can be drawn as a conclusion. Further, the authors acknowledge that the arterial blood gas was not precisely time stamped. Therefore, it is not clear as to the length of hyperoxic exposure or when in a patient’s course the exposure occurred. It is possible that these factors affect outcome.Additionally, it is unclear whether the use of TH was incorporated into the care of any of these patients, which certainly could have altered mortality. However, given that only 6% of the captured patients had a lowest body temperature under 34ºC within the first 24 hours of ICU arrival, it is unlikely that TH was widely instituted. Further, the data collection period is from 2001-2005, a time when TH had not yet been widely accepted as standard of care. Overall, this study adds additional human evidence that exposure to hyperoxia is likely detrimental in the setting of ROSC . In addition, this continues to support the current recommendations of the AHA and ILCOR current practice guidelines. Effectiveness of each Target Body Temperature During Therapeutic Hypothermia after Cardiac Arrest. Kim J, Yang H, Lim Y, et al. The American Journal of Emergency Medicine. 2011;29:148-154.
remain comatose after ROSC from an OOHCA, improves morbidity and mortality. Although ischemic cerebral injury is a major contributor to the morbidity and mortality of these patients, reperfusion injury is believed to add additional neural insult through a complex array of pathophysiology. It is believed that mild TH can positively augment some of these pathophysiologic processes, yet comes with its own inherent risk of complications. As a result, this study attempted to investigate if there is an ideal target temperature (i.e., 32°C, 33°C or 34°C) that continues to provide therapeutic benefit but limits complications. The study was conducted in an ICU setting at a single tertiary care center in Korea. It prospectively evaluated three target temperatures (32°C, 33°C and 34°C) for adverse events and outcome. A total of 62 patients met the inclusion criteria which were adult non-pregnant patients who were hemodynamically stable and admitted to the ICU with ROSC for > 24 hours. Those that were unstable despite the use of inotropes (SBP < 90), were severely acidemic (pH < 7.1), had a preexisting coagulopathy, or did not have informed consent obtained, were excluded. Basal characteristics of patients, complications, neurological outcomes and mortality were evaluated for each target temperature. The most common rhythm at the time of arrest was asystole, with the most common cause of arrest being cardiac. Patients were cooled to maintain a narrow range target temperature, 32.2 ± 0.65, 33.2 ± 0.5, and 33.7 ± 0.74 (32°C, 33°C and 34°C, respectively). The number of survivors was 38 (61.4%) with 14 (22.6%), having good neurological outcome defined as a cerebral performance category scale (CPC) of 1 or 2. There was no statistically significant difference in mortality or neurologic outcomes across the groups. It should be mentioned, however, based on a multiple logistic regression analysis, the target temperature of 32°C was significantly more likely to be associated with hypotension (OR: 6.8, 95% CI: 1.4- 32.4). Other complications including bleeding, pneumonia, sepsis and pulmonary edema did not reach statistical significance. This study had several limitations that should be pointed out. Overall, this was a relatively small study including only 63 patients at a single institution. Further, these patients were not evenly distributed across the groups, with 13, 22, and 28 patients across 32°C, 33°C and 34°C, respectively. Secondly, it is not clear exactly what method of cooling was used, surface versus endovascular or a combination of both. Additionally, the use of a rectal temperature probe introduces the possibility of several errors and unfortunately does not reflect core body or brain temperatures well. One could argue, however, that although not ideal, this was consistent across all groups. Finally, the authors never state how many patients were required to adequately power this study, making the data difficult to analyze. further work still needs to be done. It is, however, important to highlight that of the several complications investigated in this study, hypotension was the only one noted to reach statistical significance. This point is important, as previous studies have demonstrated increased morbidity and mortality when even a single episode of hypotension is noted in the post arrest period. It is clear that more work still needs to be done before precise target temperature recommendations can be made. Is Hypothermia after Cardiac Arrest Effective in Both Shockable and Nonshockable Patients? Insights from a Large Registry. Dumas F, Grimaldi D, Zuber B, et al. Circulation. 2011; 123:877-886. A knowledge gap unfortunately exists regarding the benefits of TH in the setting of non-shockable (asystolic or PEA) cardiac arrest patients who achieve ROSC . To date, there appears to be the potential for benefit. However, the evidence is much less robust as compared to that for shockable rhythms (VT or VF). Shockable versus non-shockable rhythms are defined as the initial presenting rhythm found following cardiac arrest. This study attempts to provide further data regarding the appropriate patient selection when considering implementation of TH. ROSC was established before arrival to the hospital after treatment by pre-hospital providers and at least one physician trained in emergency medicine. On arrival to the hospital, all patients without a clear noncardiac etiology were taken directly to the cardiac catheterization lab, then to the ICU. If an obvious non-cardiac cause was noted, they instead went directly to the ICU. Hypothermia (defined as 32-34°C) was initiated immediately on arrival to the ICU by external cooling techniques. Following the hypothermic period, patients were passively rewarmed at a rate of 0.3°C degrees/hour. Sedation was lifted after re-warming, and patients were extubated as soon as neurologic and respiratory status allowed. CPC status was assessed at the time of hospital discharge. A CPC score of 1or 2 defined a good neurologic outcome, and a CPC of 3-5 was poor. included 708 patients who suffered a VT/VF arrest and 437 who experienced a PEA or asystolic arrest. Of the VT/VF patients, 65% underwent TH resulting in a statistically significant increase in good neurological outcomes i.e., CPC 1 or 2 (OR: 1.90, 95% CI: 1.18- 3.06). Conversely, 60% of the non-shockable patients were cooled, and no affect on neurologic outcome was established (OR: 0.71, 95% CI: 0.37-1.36l). Despite this overall trend, cardiac arrest in a public area, where aid could immediately be initiated, was found to be significantly associated with good outcome for both shockable and non-shockable rhythms. Additionally, elevated levels of troponin, creatinine and serum lactate directly correlated with a poorer outcome for all types of arrest. Interestingly, in regards to complications, the recurrence of cardiac arrest or dysrhythmia was associated with the absence of hypothermic treatment. There was no difference between groups for the incidence of pulmonary edema or cardiogenic shock. again making some of these findings difficult to generalize to the majority of systems used in the U.S. In addition, external-cooling techniques alone have been found to be a less efficient method of cooling as compared to intravascular techniques, and consequently, this study did demonstrate long hypothermic induction times. Finally, this is an observational cohort allowing for only the possibility of an association rather then causation to be concluded. Overall, it is not clear why treatment with TH did not lead to improved outcome in non-shockable patients. It may be related to the fact that 55% of shockable arrests were deemed to be due to a cardiac etiology, where as only 12% of non-shockable arrests were due to a cardiac cause. Further, certain etiologies generally associated with non-shockable rhythms tend to result from severe hypoxic insults that culminate in complete cardiovascular collapse. This alone may result in additional ischemic injury not present in most shockable rhythms and may alter the effectiveness of TH post arrest. Finally, although no improvement in outcome was noted in non-shockable arrest patients in this study, it is clear further research is warranted. Therefore, this should not dissuade providers from initiating TH when caring for those with ROSC from a non-shockable rhythm, until further research indicates otherwise. Predictive Factors for Positive Coronary Angiography in Out-of-Hospital Cardiac Arrest Patients. Aurore A, Jabre P, Liot P, Margenet A, Lecarpentier E, Combes X. European Journal of Emergency Medicine. 2011; 18:73-6. Emergent coronary angiography is an important component of post cardiac arrest care, and according to the 2010 AHA guidelines, is “reasonable even in the absence of STEMI.” However, there is little data to help predict which cardiac arrest patients will have a significant lesion or require PCI on coronary angiography. This retrospective study was conducted at a French university hospital and sought to identify predictive factors for positive findings on coronary angiography in OOHCA patients. Data were evaluated on 4,621 OOHCA patients who were cared for by the hospital’s mobile ICU between January 2000 and December 2006. Of these, 1,792 patients died at the scene before ACLS was started, 2,384 died despite attempts at resuscitation, and 445 were resuscitated and transported to the hospital. Of those, only 133 went immediately for coronary angiography. These patients either had findings of STEMI on their EKG or were thought to be at high likelihood of having a cardiac event based on circumstances of arrest, past medical history or other findings on EKG. Patients were categorized as having positive coronary angiography if they had a >50% reduction in luminal diameter or if there was a coronary artery thrombus present. The overall survival rate was 23% in patients who underwent coronary angiography versus 9.6% in patients who did not. The authors noted that the survival rate was lower than that shown in other studies investigating post-cardiac arrest catheterization and speculate that this discrepancy is related to a low rate of bystander CPR. Of the patients who underwent coronary angiography, 71% had at least one significant lesion, and 53% underwent PCI. out-of-hospital EKG, history of coronary disease, cardiac arrest in a public place (as opposed to home or workplace), and initial rhythm of ventricular fibrillation or ventricular tachycardia. Interestingly, ST segment elevation on out-of-hospital EKG was not found to be a significant predictor for positive findings on coronary angiography. Limitations of this study include its retrospective nature, relatively small sample size, and lack of standardization regarding which patients went to coronary angiography. However, despite these limitations, the authors have determined several factors that appear to correlate with positive findings on angiography in the OOHCA patient. Perhaps most significant is the failure of ST elevation to predict positive cardiac catheterization findings, suggesting that the absence of ST elevations should not deter emergency physicians from sending post-cardiac arrest patients to the catherization lab. The next two articles discussed investigate the timing of the induction phase of Therapeutic Hypothermia. The 2010 American Heart Association Guidelines state “The impact of the timing of initiating hypothermia after cardiac arrest is not completely understood.” Currently, initiation of TH in appropriately selected patients, as soon as possible, is favored. Two recent studies sought to further investigate the optimal timing of the initiation of TH and its effects on both ROSC as well as for its potential benefit on neurologic outcome. Induction of Therapeutic Hypothermia by Paramedics after Resuscitation from Out-of-Hospital Ventricular Fibrillation Cardiac Arrest. A Randomized Controlled Trial. Bernard S, Cooper J, Kelly A, Silvester W. Circulation, 2010; 122:737-742. This prospective, randomized controlled trial sought to examine the optimal timing for the initiation of TH and included 234 patients. Those eligible suffered an OOHCA with an initial rhythm of VF with subsequent ROSC , had a SBP > 90, arrest time > 10 minutes, were age ≥ 15 and had IV access. Exclusion criteria included patients that were unable to be intubated, already dependent on others for activities of daily living, already hypothermic, or were obviously pregnant. All patients were ventilated with 100% FiO2 with a target end-tidal CO2 of 35-40. If SBP was < 90 they were given epinephrine for a target SBP of 100mm Hg. Eligible patients were subsequently randomized to “Usual Care” (i.e., hospital cooling) or “Paramedic Cooling.” The paramedic cooled group received IV midazolam and pancuronium to suppress shivering. Hypothermia was induced via infusion of “ice cold” (< 8˚C) lactated ringers (LR) at 100mL/min during transport by pressure bag at 300mmHg for up to 2 liters. If pulmonary edema developed, patients were given Furosemide 40mg IV, followed by an additional infusion of 10-20mL/kg of ice cold LR on hospital arrival. In contrast, the hospital cooling group received midazolam en route only if needed for ventilation, with pancuronium if midazolam was insufficient. On arrival to the ED, they underwent rapid infusion of 40mL/kg ice cold LR. Finally, patients in both groups received surface cooling on arrival to the ED to a temperature of 33˚C, which was maintained for 24 hours, with re-warming at 0.25˚C/hour thereafter. The primary outcome was percentage of patients with favorable neurologic status at hospital discharge (i.e., to home or rehab facility) vs. unfavorable neurologic status (death or discharge to long-term nursing facility). Secondary outcomes included patient’s temperature on arrival to the ED, recurrent prehospital cardiac arrest after enrollment, and development of prehospital pulmonary edema. While the treatment group did have a significantly lower temperature on hospital arrival (34.4 C vs. 35.2 C, p= 0.001) the rate of favorable outcome was 47.5% in the paramedic-cooled group versus 52.6% in the hospital cooled group and was not statistically significant (p - 0.43). In addition, there were no differences in the two groups for other secondary outcomes. The Association Between Intra-Arrest Therapeutic Hypothermia and Return of Spontaneous Circulation among Individuals Experiencing Out of Hospital Cardiac Arrest. Garrett J, Studnek J, Blackwell T, Vandeventer S, Pearson D, Heffner A, Reades R. Resuscitation. 2011; 82: 21-25. This retrospective trial sought to investigate the effect of intra-arrest initiation of TH by paramedics and its affects on ROSC , survival to admission and discharge, as well as final neurologic status. After six months of collecting data to serve as the control group, all patients experiencing non-traumatic OOHCA received 4˚C normal saline immediately following IV/IO line placement up to a maximum of 2 liters. Overall, 542 patients were included in the study. Inclusion criteria were intended to capture patients who suffered a non-traumatic OOHCA and were ≥ 18 years of age. Patients were excluded if they were pregnant, suffered arrest secondary to drowning, were found to have an active DNR status, or were noted to have obvious signs of death on arrival. The intra-arrest therapeutic hypothermia (IATH) group included any patient that received any amount of chilled saline. The IATH group had a statistically significant higher rate of ROSC (36.5% vs. 26.9%, p = 0.018). Further, this group also had higher rates of survival to admission and discharge (including survival with good neurological outcome) yet these differences did not reach statistical significance. On secondary analysis, there was a linear association between the amount of cold saline infused and the likelihood of ROSC . This study has several limitations. This was a retrospective study, which is inherently open to a number of biases. Additionally, by changing the protocol at the study’s midpoint, further bias due to a Hawthorne effect can easily occur. For example, paramedics may have improved the quality of chest compressions or other aspects of cardiac arrest care that have also demonstrated improved outcomes and are known to enhance ROSC . Also, on examination of the secondary analysis, the authors admit that no threshold effect was noted. Further, according to the regression analysis, patients who received just 10ml of 4˚C normal saline were more likely to have ROSC as compared to their cohorts. This seems very unlikely and is believed to be due to confounding measurement errors. In summary, these two studies investigate the possible benefit of prehospital initiation of TH. Unfortunately, no definitive conclusion can be made at this point despite this additional data. Although, both studies do provide some further evidence that both early, and even intra-arrest, induction of TH is both safe and feasible, it is not clearly evident if it positively augments neurologic outcome and mortality. Further, intra-arrest initiation of cooling may enhance the chances of ROSC , but again, this requires further investigation. Even with these two there is no conclusive evidence available to support the specific timing of initiation of TH, and a continued knowledge gap exists. At present, it seems reasonable to continue a “the earlier the better” mentality when implementing this therapeutic modality. Adverse Effects and Their Relation to Mortality in Out-Of-Hospital Cardiac Arrest Patients Treated with Therapeutic Hypothermia. Nielsen N, et al. Crit Care Med 2011; 39:57-64.
six months after the initial hospital admission. Using multivariate analysis, only two complications during the critical care stay predicted a higher likelihood of mortality at six months. These were sustained hyperglycemia and seizures requiring treatment with anticonvulsants. Hyperglycemia was found to be present in 37% of all patients undergoing TH in this study. The definition of hyperglycemia used in this investigation was >8mmol/L or >144mg/dL for greater than four hours. Seizures were reported in 24% of patients. Infections and bleeding were found to be more common in patients after invasive coronary procedures but were not predictive of a worsened six-month mortality. Electrolyte abnormalities and arrhythmias, though also common, were not found to be predictors of increased mortality. Limitations of this investigation include the use of a registry-based design. Therefore, the noted association of TH complicated by seizures and/or hyperglycemia does not indicate causation. Each center was able to manage TH patients according to their own local protocol, so there was no standardization of patient management. However, one could argue that this actually enhances the generalizability of this study. Finally, the study was not powered enough to determine if there were center-specific effects on complications and outcomes stemming from the differences in site protocols. In clinical practice, we should be mindful that hyperglycemia and seizure activity may portend worse outcomes and are perhaps more common then initially recognized. Though the effects on outcome are not known, it is prudent for clinicians to identify and treat these derangements. Further studies will be helpful in identifying the optimal strategies in treating patients that do develop either of these complications.